Can you believe that we’re almost halfway through the semester? We hope that midterms are going well and that you’re still making time for self-care! 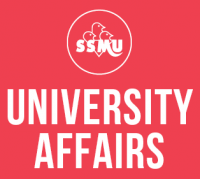 This past weekend at the Student Academic Summit, we officially launched our SSMU University Affairs website! The site is your centralized resource for information on student representation, research, and advocacy at McGill. Check out my October 20th report for other updates from the UA portfolio.